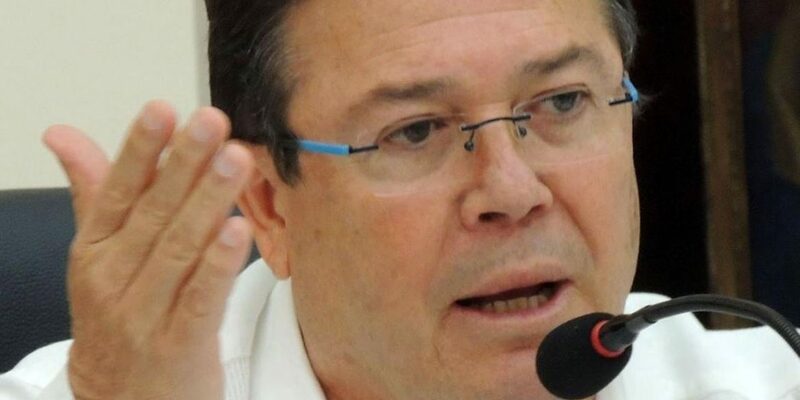 A Colombian congressman said Wednesday that the United States embassy revoked his visa after a controversial meeting between ambassador Kevin Whitaker and congressmen was leaked to the press. House Representative John Jairo Cardenas (U Party) told W Radio that he believed his visa was revoked after talking to press about a meeting with Whitaker in which the ambassador allegedly threatened his country could cut aid if they did not limit the powers of the country’s war crimes tribunal to benefit US interests. I don’t have any investigations at the Prosecutor General’s Office, the Comptroller’s Office or the Inspector General’s Office. I don’t see that this has any other reason than a retaliation by Ambassador Whitaker for having revealed what was discussed in that meeting. Cardenas’ visa was revoked allegedly after newspaper El Espectador revealed details about two meetings on April 1 and April 2 between the US ambassador and respectively house representatives and senators. The newspaper said it talked to 10 of the 12 lawmakers who met with Whitaker without revealing which ones. Some of the lawmakers said Whitaker’s behavior was “hardly diplomatic” and even “intimidating” while he was trying to convince the lawmakers to limit the powers of the Special Jurisdiction for Peace (JEP). Whitaker has openly criticized the JEP’s power to shield leaders of the demobilized and disarmed guerrilla group FARC from extradition unless they are proven to have engaged in criminal activity after they signed peace with former President Juan Manuel Santos in November 2016. The US government plunged the country’s peace process into crisis in April last year when it requested the extradition of the FARC’s long-time ideologue “Jesus Santrich” on an unsubstantiated drug trafficking claim. Cardenas told the radio station that the alleged move by the embassy to revoke his visa “is sending a subtle message to the senate” which is expected to dismiss President Ivan Duque‘s controversial move to return the articles of the JEP’s statutory law to Congress after they had already been approved by the Constitutional Court. I’m not concerned about the visa. What worries me is the message that is sent to the country. Despite Whitaker’s alleged threats, the House of Representatives dismissed Duque’s objections last week, claiming that the president overstepped his powers by objecting to the constitutional laws that protected the JEP’s powers. Victims of the armed conflict have long claimed that Washington’s policy to seek the extradition of alleged war criminals on drug trafficking charges has frustrated justice for scores of victims.